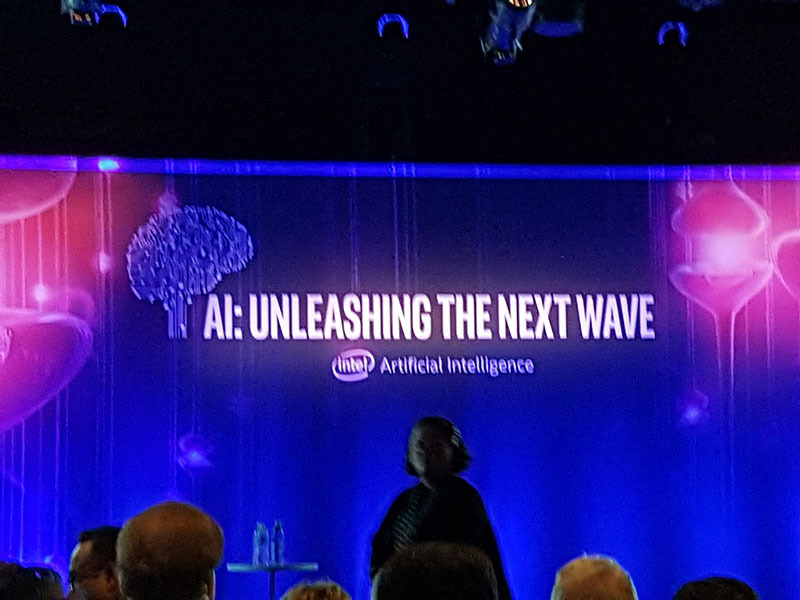 We are here live at Intel AI Day in San Francisco, California. We heard at Supercomputing 2016 that Intel will make some major product announcements today. Stay tuned as we will be live blogging the event. We will keep this page updated. 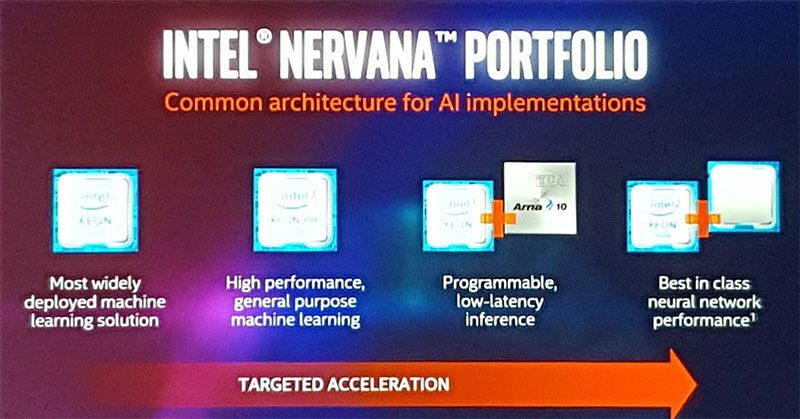 Just as a recap, the company released the Intel Deep Learning Inference Accelerator at Supercomputing 2016 earlier this week. We were told that today’s event will have additional product announcements. The event is scheduled to kick-off in the next minute or two. Deep learning is a subset of machine learning that is bringing us the next wave of artificial intelligence. “GPU does not have a unique advantage” for deep learning. 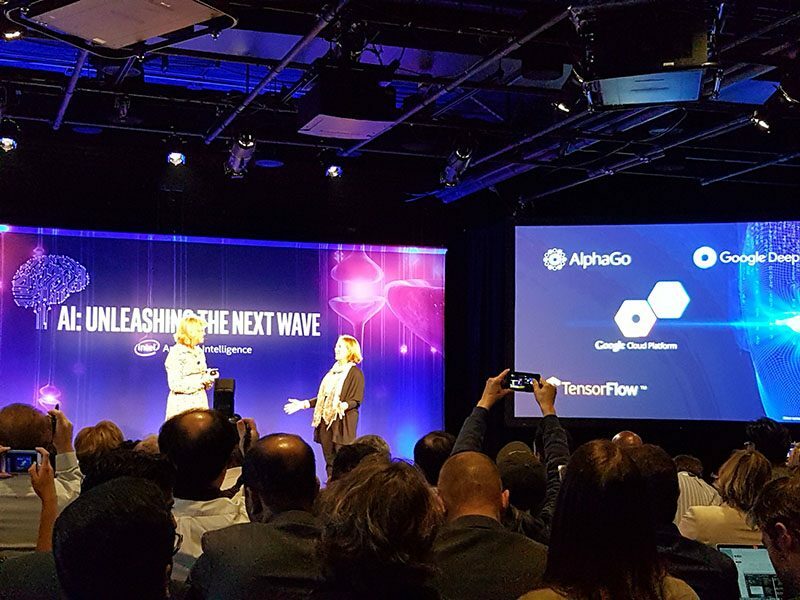 Intel is pushing AI across the portfolio. Nervana is the topic here. Nervana’s Naveen Rao is now on the stage. Today we are going to talk about Intel – Nervana chip generation for next year. We are also going to hear about integration into other Intel products and the software behind. 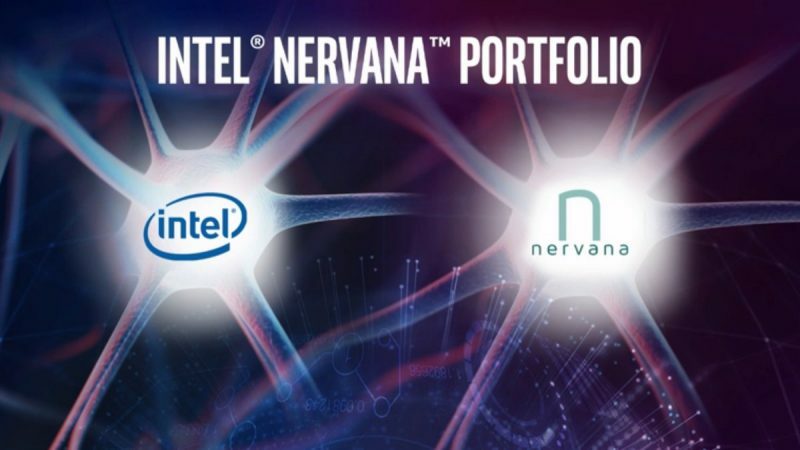 Nervana brand is coming under the Intel branding portfolio. How do we make AI accelerated? Three-fold approach to drive the AI computing era. Hardware, software and being the trusted supplier for AI and deep learning. Diane Bryant the head of Intel’s Data Center Group is up next. 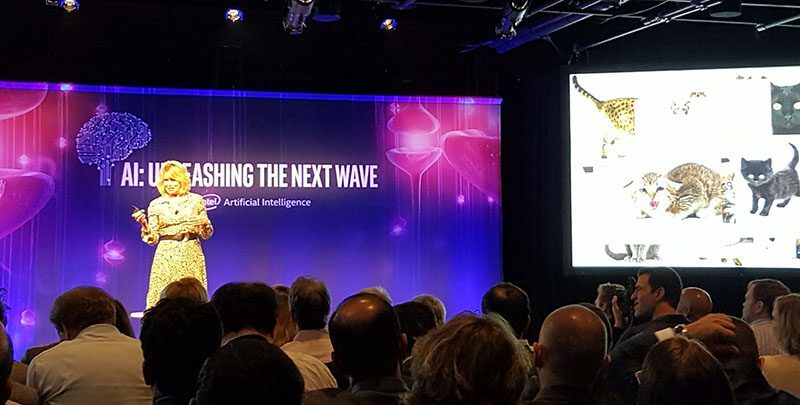 We posted the Intel AI Day press release here. Diane Bryant is on stage now. By 2020 there will be more servers running data analytics than any other workload. 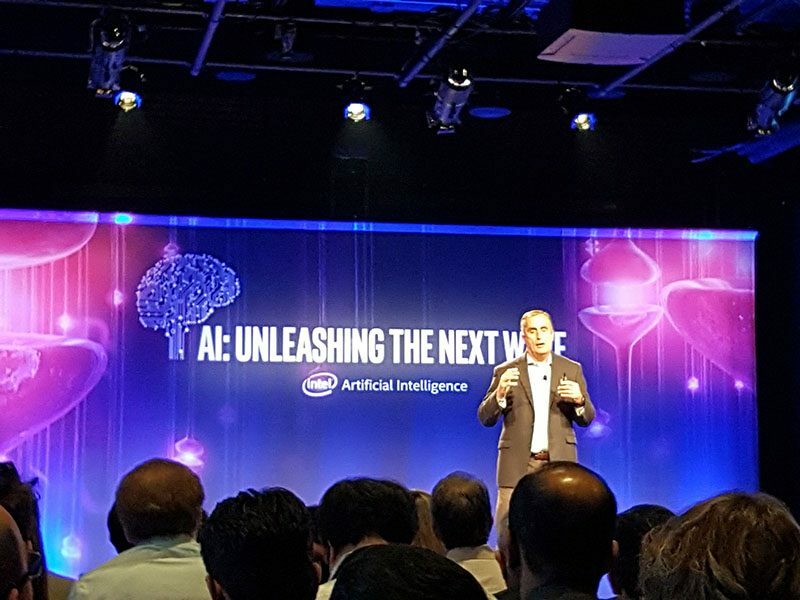 Looking four years out to 2020 Intel expects CPU cycles dedicated to AI to grow by 12x. Diane Greene from Google’s Cloud Platform is now on stage. The Diane’s are talking about the agreement by Intel and Google to transition enterprise workloads to the Google Cloud Platform. Here is a link to the press release. Tensorflow collaboration. 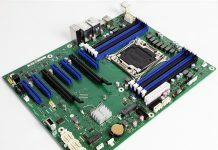 Google and Intel working to improve neural network models to make Tensorflow work well on the Intel hardware platforms. By end of year, Intel Tensorflow optimizations will be released. Google is “developing for next-generation Xeon”. Intel estimates that 94% of all servers deployed in 2016 for AI will run only Intel, no GPU. 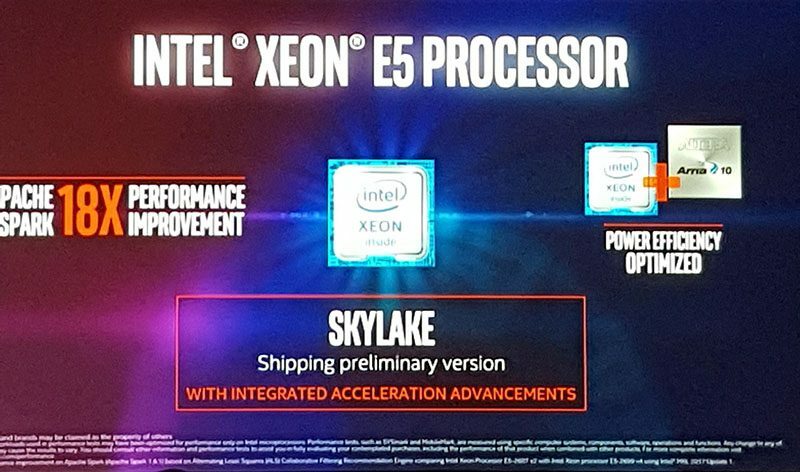 Skylake-EP shipping in preliminary versions with integrated acceleration advancements. Shipping to OEMs and select customers now. 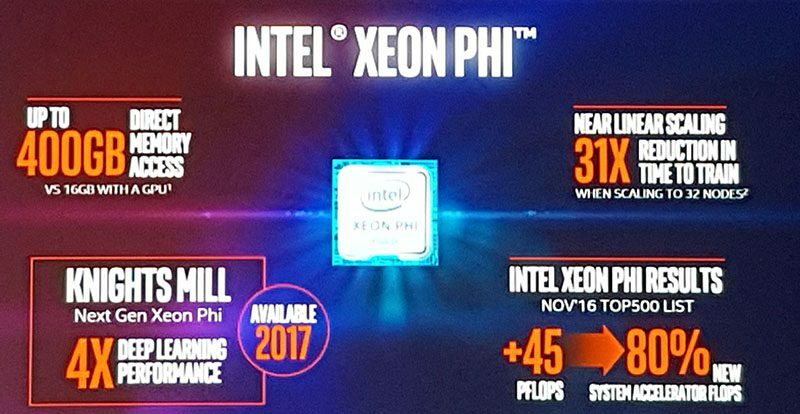 Intel Xeon Phi Knights Mill generations available in 2017. 4x deep learning performance. Single and half precision support. Over 400GB of memory versus 16GB on a GPUs. Start of 2015 0.1% of compute was dedicated to AI. By 2020, 100x improvement in time to train. Lake Crest discrete accelerator first silicon in 1H’2017. 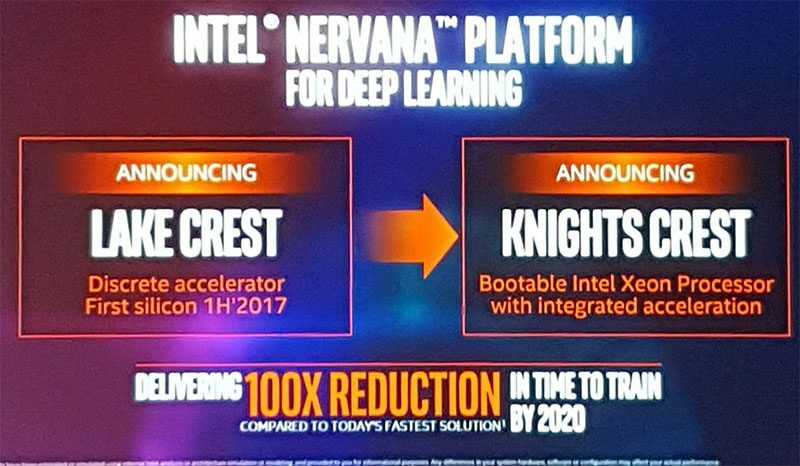 Knights Crest Bootable Intel Xeon Processor with integrated acceleration. USAA found first fraud ring within 10 hours of using Saffron’s graph solution. Looks like we have several customer testimonials regarding how AI is helping companies and organizations solve business and social problems. Intel is adding deep neural network primatives to the Intel MKL. Intel MKL-DNN. Intel Nervana Graph Compiler – more complex models with more layers. Intel will release in Neon 3.0 and open sourced for other technologies to take advantage of it. Tensorflow is a key pillar of the alliance between Google and Intel. Tuning and optimizing on Xeon and Xeon Phi processors. Theano is being optimized as well. Some applications are already seeing an 8x performance impact according to Intel. Caffe and Torch Intel seems to optimizing as well, albeit they are talking about point solutions with companies rather than showing specific libraries. Catching up on images as fast as the Wi-Fi will allow. BigDL initial release by end of 2016. Integrating deep learning techniques into Spark. Intel is aiming to allow the same Spark programmers to take advantage of BigDL. 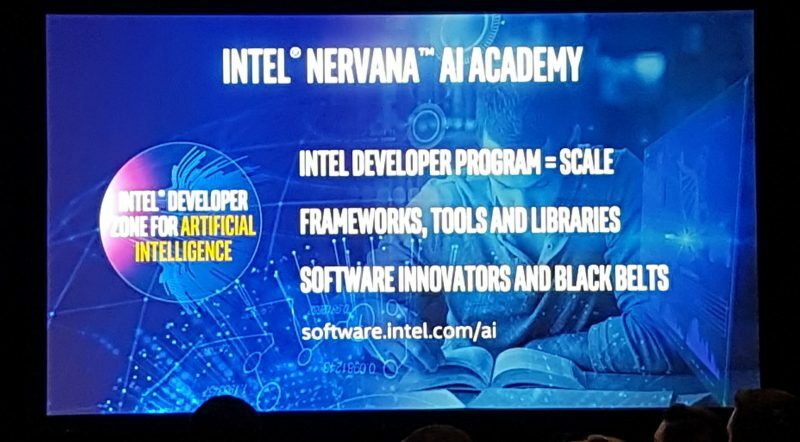 Intel Deep Learning SDK (Training and Deployment) beta in December 2016. Release Q1 2017. Intel Student Developer Program – find passionate leader communities in school and provide tools for research. Intel Student Ambassadors will get additional resources funded by Intel to further their AI research. Educate and Solve. 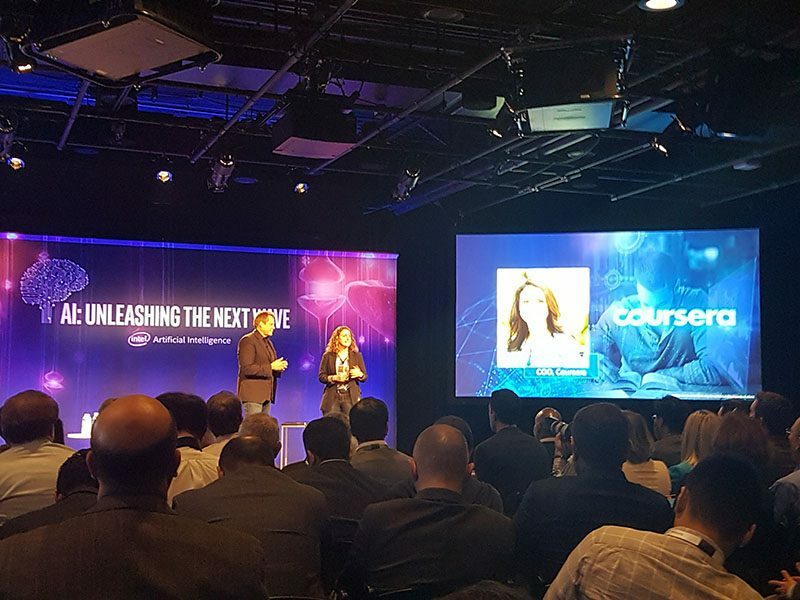 Intel + Coursera – Intel is partnering with Coursera to drive AI learning to Coursera’s network. Intel will take the top 10% of learners on the Coursera and provide resume reviews for internships at Intel sites.Intel will be sponsoring kaggle competitions for data scientists. It seems like Intel is trying to close the gap on the education side. NVIDIA has a huge lead in getting people to use CUDA for AI and deep learning applications. Doug Davis, SVP, IOT Group at Intel is on stage. He is talking about the fact that compute power and sensors are now inexpensive enough to make AI touching the physical world much less expensive. We are going through potential IoT use cases. No new product announcements yet. 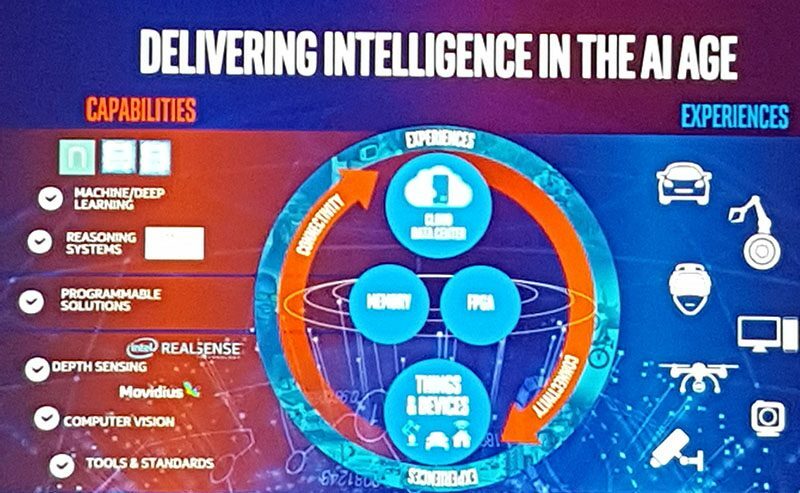 The basic message is that Intel hopes to sell something in the IoT space that will get data back to the data center for processing. The Intel AI day keynote is wrapping up.